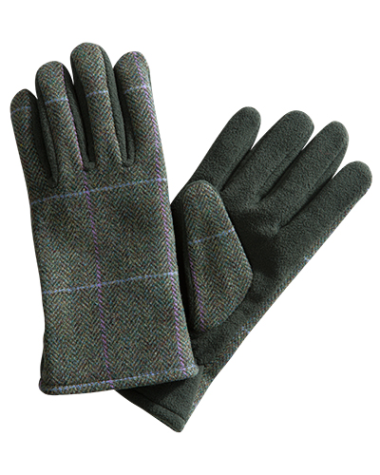 These new Albany tweed gloves from Hoggs of Fife really round off the Albany range. Featuring a bespoke tweed fabric with light blue and light pink check and made from lambswool for comfort and warmth. The gloves are finished with a Teflon coating to provide extra protection from the weather.